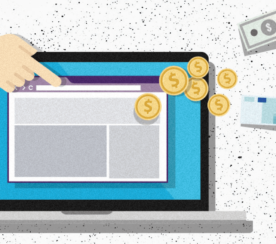 One of the most popular, effective, and easiest ways to make some extra dough online is through affiliate marketing – it’s also a great way to spread the word about your products. 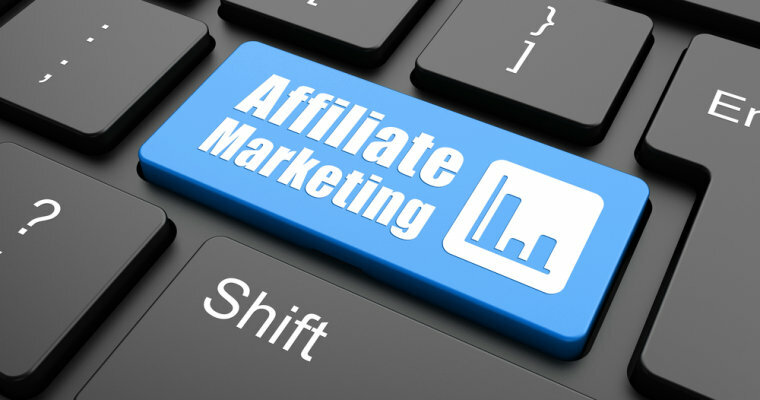 However, if you are busy with all of the stress that comes with your day-to-day operations, how can you find the time to devote to promoting and managing your affiliate program? Here are some (non-SEJ affiliated) programs that will take care of your affiliate program needs. Keep in mind that this list is placed in no particular order and has been selected because of quality of the service and online reputation. 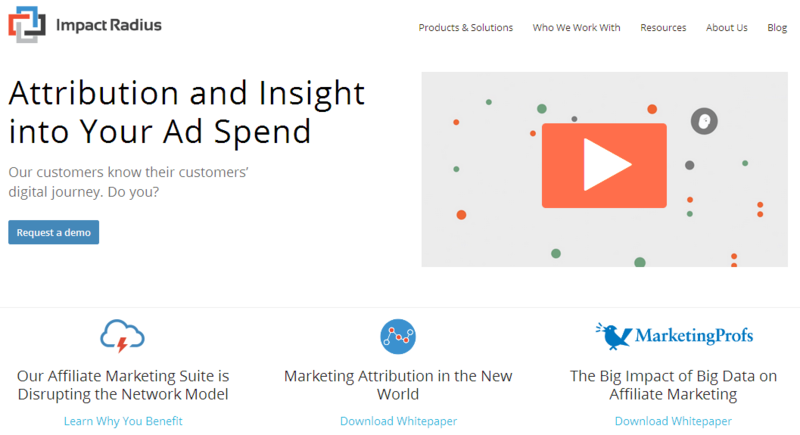 If you’re looking for a complete management tool to track and optimize your affiliate networks, then CAKE should be given serious consideration. Underneath one convenient dashboard you can view the overall performance of your networks, manage contacts, and review analyzing results. Pricing for this customizable management tool is “based on usage”, depending on what your business requires. There are three different price levels – Select, Pro, and Enterprise – which are offered after you request a quote. After being founded by twin brothers Lucas and Lee Brown in 2009, this white-labeled affiliate tracking software has become an industry leader thanks to being innovative and featuring a system that is reliable, scalable, and flexible. 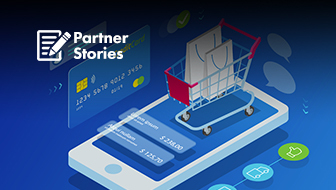 Some of the standout features include a two-way API, unlimited amount of affiliates, fraud protection, dedicated solutions option, a mail room, and the ability to convert currencies. Besides tracking your affiliate network, you can use this unique software as an ad agency to advertise your e-commerce store. You can try HasOffers out for a 30-day free trial and then select either the Pro ($279/month), Enterprise ($799/month) or Custom plan. Currently, LinkTRust has three pricing options; Advertiser (Setup $600, Monthly $575) , Network (Setup $2,000, Monthly $1,750) and Lead Gen Setup ($500, Monthly $1250). OmniStar has been in business for over 13 years and states on its website that it has been voted the #1 affiliate software. 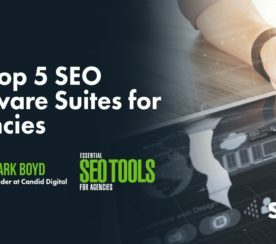 The company delivers a straightforward and solid tracking software that is easy to set up (it should only take you under 10 minutes to get started), integrates with every payment gateway or shopping cart, OSI Affiliate Software, and connects you with new partners and customers through social media and improved SEO. OmniStar also offers five pricing options ranging from $47.95 to $297.95 per month, so finding a plan that suits your business needs shouldn’t be a concern. Pricing is not listed on the website, so you will have to contact their sales department to discuss the appropriate plan for your network. 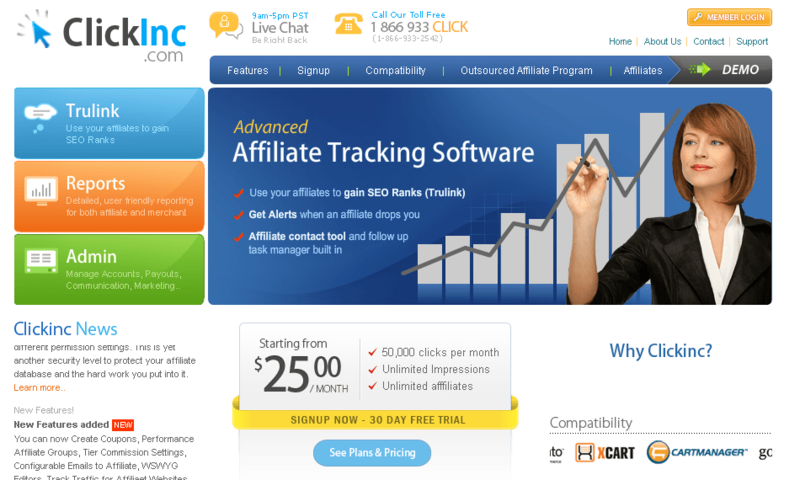 iDevAffiliate boasts that it is the #1 selling affiliate tracking software product. Even if there’s some hyperbole there, this popular software has been offering incredible features since 1999. 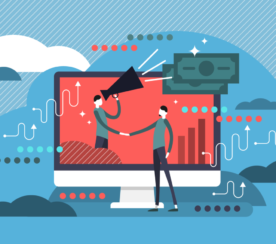 For example, you can design your own payment structure, promote offers through banners, lightboxes, brochures or videos, and create reports that measure daily activity and track marketing statistics. There’s also a built-in shopping integration that is compatible with most cart and checkout systems. The iDevAffiliate Standard Edition is available for $149, but there is also the Gold ($249.99), Platinum ($349.99) and Black ($399.99) editions, depending on your needs. 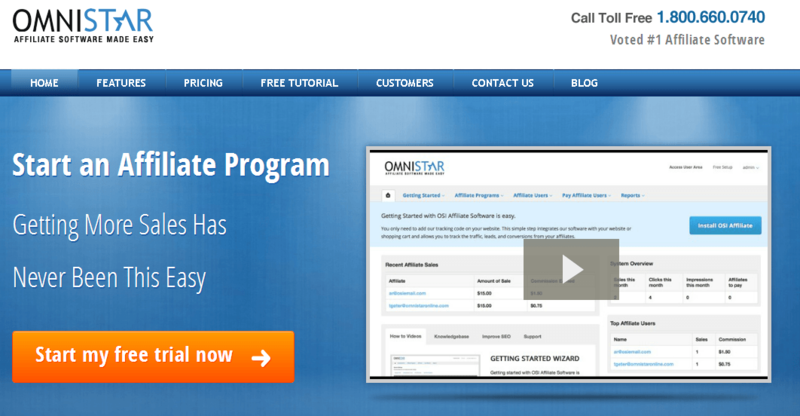 If you don’t want to purchase the software, you can lease it for a monthly fee. 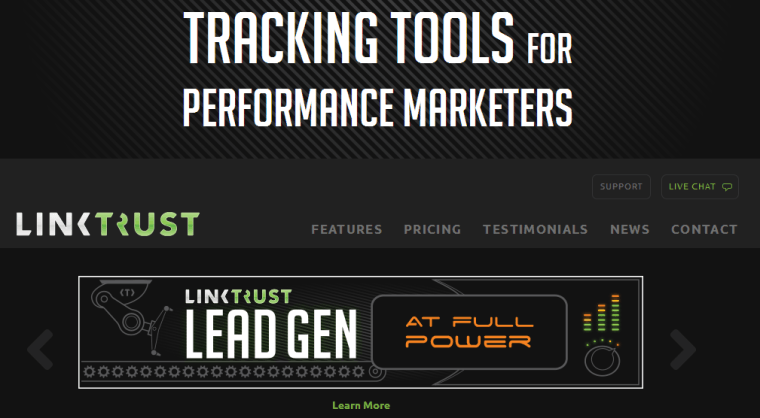 As soon as you’re signed up, Lead Dyno automatically creates an Affiliate Sign Up page for you so you can begin to receive traffic from affiliates. You’ll also get your own hosted and customizable page that can track visitors, leads, and customers – you can even track your AdWords campaign. Other interesting features include the easy-to-use recruitment program that invites people to join your network via an email invitation. Lead Dyno offers affordable pricing options that begin at $49 per month for the starter package. Other plans include the Accelerator ($79) and Rainmaker ($149). If you’re using WordPress for your website or blog, then you should definitely take advantage of AffiliateWP. This plugin not only promotes your products and services, it integrates with the most popular WordPress e-commerce plugins and offers real-time reporting and management of your affiliates. 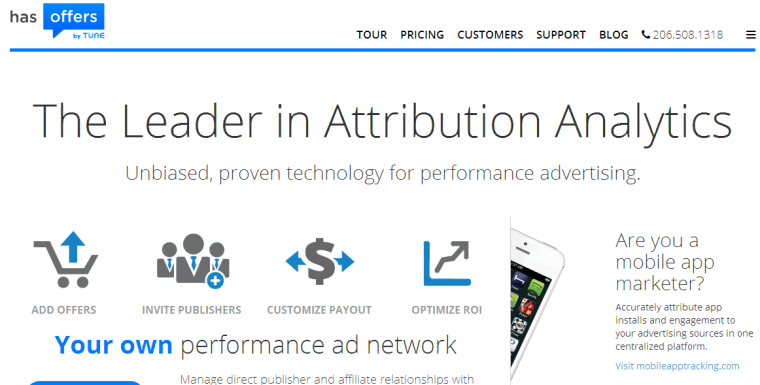 AffiliateWP also accurately tracks any affiliate referrals via caching, provides WooCommerce coupon tracking, and has one of the best supports systems in the industry. And, that’s not even getting into the extensive add-ons offered such as lifetime commissions, recurring referrals, and tiered affiliate rates. There are three available pricing plans: Personal ($49), Business ($99) and Developer ($199). 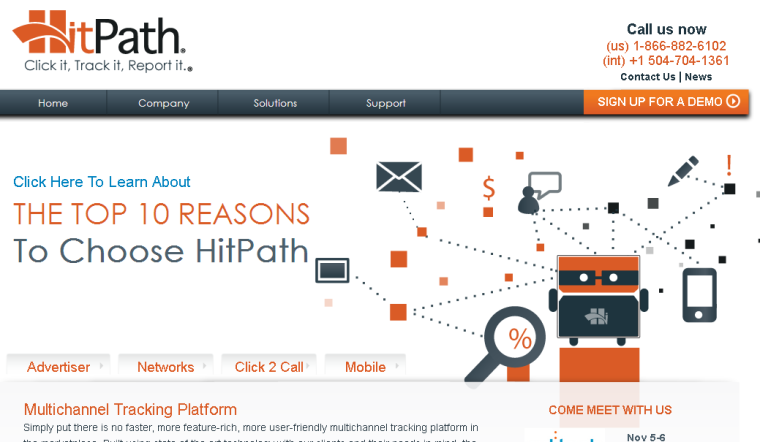 Hit Path is one the fastest and most user-friendly affiliate tracking programs available. 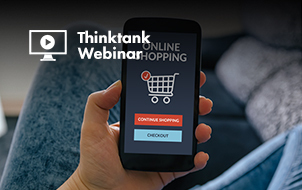 By using state-of-the technology, Hit Path can offer a reliable and scalable multichannel tracking platform that can be customized to meet your specific needs. 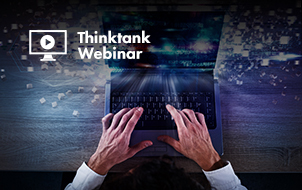 Among the abundance of features that Hit Path comes equipped with are: free training, 24/7 support, real-time campaign tracking, affiliate management, the Crosspub campaign accelerator, accounting module, and a white-labelled interface. There is no price listed for Hit Path, but you can sign up for a free demo before getting into contact with a sales representative. 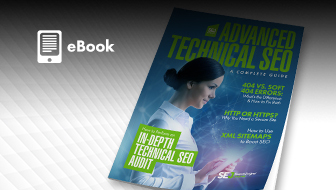 The intuitive interface featured within Click Inc. is perfect for those who aren’t familiar with HTML. Not only that, the Trulink format is a great assist if you want to improve your SEO, since it will link directly to your sales page instead of featuring a coded link. Other appealing features include detailed reports that provide traffic status, alerts and graphs containing clicks, commissions, and sales. There are also some stellar management tools that give you the power to create coupons, tier commissions, and follow-up with merchants. You can purchase a starter plan for $25 a month and bump up to either the $69 or $149 monthly plan. Affiliate marketing is a great way to make some additional income or even push your products and services. The best way to do this, however, is by using the right software that will manage, promote, and track your affiliate program accurately and timely. It’s also important to maintain best practices. Which affiliate marketing tracking software have you used in the past? Would you recommend it to your peers?